This book is impressive. At first glance it appears to be aimed at healthcare professionals working in communities much further afield than the UK. However, it is extremely valuable for all in low resource settings and this now includes the UK with pressures on health and social care budgets. It has a positive narrative that engages the reader without jargon, using a problem based solving approach including what questions can be asked and medications. 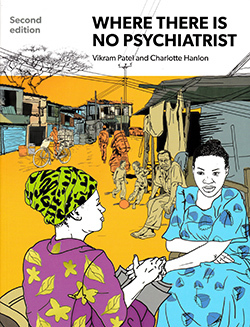 The message is that there is no health without mental health and we all have a part to play in supporting those with mental health problems because they affect us all, can be disabling, can kill, effect other health problems, lead to stigma and because service access can be difficult and our societies are rapidly changing. This is a timely publication. As a starting manual for those studying, working in health and social care and education institutions this is a highly recommended read as an individual purchase.